As of June 2018, Social Security expanded the availability of its online wage reporting service to people who receive Supplemental Security Income (SSI) and to “concurrent” beneficiaries (people who receive both SSI and Social Security Disability Insurance (SSDI)). Social Security announced the service last year, but at the time it was only available for people who receive SSDI. The wage reporting service makes it easier to report your work and wages online from your computer or mobile device. Other people, such as your parents, spouse, sponsors or representative payee, may also report your wages using the new service. 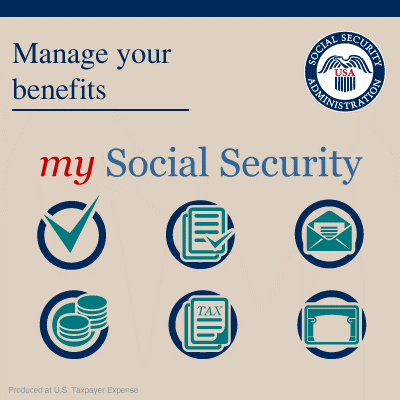 To use the service, you must have a current my Social Security account. You can create an account or sign in to your current one here. If you receive SSI, you may still report your wages by telephone or by mobile app. Telephone: Social Security representatives are available to talk about your wage reports from 7 a.m. to 7 p.m. ET toll free at 800-772-1213 or 800-325-0778 (TTY). Mobile app: If you have a smartphone, Social Security’s SSI mobile wage reporting app is another way to report your wages. In person: Find and visit your local field office. Although these options are still available, Social Security prefers that you report your wages through the my Social Security online wage reporting service whenever possible. Wage reporting is an important step in preventing overpayments. An overpayment occurs when Social Security has paid you more than you should have been paid in accordance with the rules of your benefits. Understanding how working affects your benefits and how to report your earnings can make a big difference in your transition to work. Social Security’s Ticket to Work (Ticket) program supports career development for people ages 18 through 64 who receive Social Security disability benefits (SSI or SSDI) and want to work. The Ticket program is free and voluntary. It helps people with disabilities move toward financial independence and connects them with the services and support they need to succeed in the workforce. To learn more about the Ticket program, visit https://choosework.ssa.gov. You can also call the Ticket to Work Help Line at 866-968-7842 or 866-833-2967 (TTY) Monday through Friday, 8 a.m. to 8 p.m. ET. Ask a representative to send you a list of service providers or find providers on your own with the Ticket program Find Help tool. A Ticket program service provider can help you understand overpayments and how to report your earnings or other information you may need to report to Social Security.